The best part of filing bankruptcy is, it will stop the creditor’s harassment against debtor. No creditor can bother a debtor through phone calls, threatening letters, and lawsuits etc. As per the bankruptcy law, this is known as automatic stay. There are many other things to know. 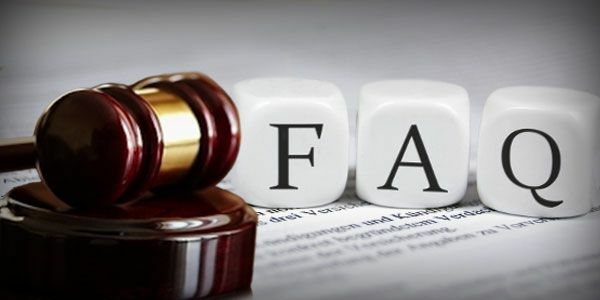 Read the FAQs to make yourself more knowledgeable regarding automatic stay violation in bankruptcy. 1. When the automatic stay begins? Ans: The automatic stay begins the moment when you file the case. 2. What are the things automatic stay prohibits? 3. How long the automatic stay will remain in effect? The court run the stay as per the creditor's request. The defaulter gets the discharge of debts. The stay will be in effect until the end of the case. 4. What to do when a creditor violates the automatic stay? Inform your creditor about the bankruptcy. If the violation continue, then alert the bankruptcy court for further action. Filing lawsuit will be the next step. 5. Is there any other laws against the violation? Ans: Yes. Debtor can claim against the creditors violation as per the federal debt collection laws, unfair trade practice laws, legal theory such as negligence. 6. What are the roles of automatic stay? After filing bankruptcy, creditors are not allowed to bring suits against the debtor. Creditors are not allowed to repossess or seize debtor’s property. Creditors have no right to enforce a lien against debtor’s property. Automatic stay helps to compile all debt related problems in the bankruptcy court. It will protect a debtor from collectors even when the bankruptcy is finished. As instance, if you have tax debts, student loans debts and any non dischargeable debts. It will give you 3-4 months of breathing room to manage the finances. 7. What is creditors notice and enforcement action? Ans: Notice is very significant for creditors to get relief for violations. Because, they can claim that they didn’t get notification of the debtors bankruptcy filing. Then a creditor can’t entitled to damages against the debtor. 8. What are the ways a creditor can receive the notices? Debtors direct notice to the creditors. There are automated system to send alert to the creditors. Receipt of the court notice mentioning date. Attached copy of bankruptcy petition. 9. What should you ask to an attorney? Are public utility company's creditors liable for stay violation? What to do incase my utilities will stop? Is collection agency also included in automatic stay law? Shall I get back my repossessed car? Whenever you're filing bankruptcy, make sure you know about automatic stay violation and your rights very well. Otherwise, you may not be able to protect yourself against cunning creditors.